By around the end of January, I like to have a pretty clear idea of what I’m growing and where I’ll be growing it. Typically by the last week in January I’ve made a list of what seed varieties I want to order and figured out which seed houses have what I want. Like all enthusiastic gardeners, I’m prone to over-buying when it comes to seeds, so before I finalize my spring seed order, I check my existing seed inventory to make sure I’m not about to order seed I already own. 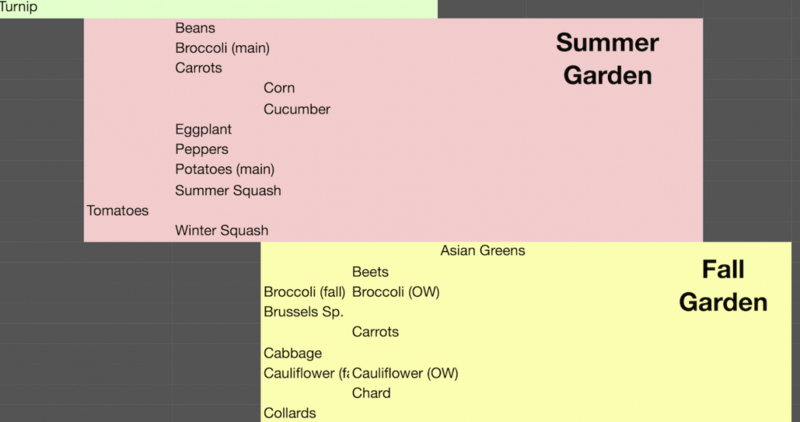 I also sketch out a garden plan for the year based on my concept of “Crop Window” and 4D garden planning. More about that here. I’ve never yet managed to 100% follow a garden plan, but I still find them an essential planning tool as I prepare for the gardener’s year.